This seminar aims at helping youth to clearly understand depression and the way to get rid of it. 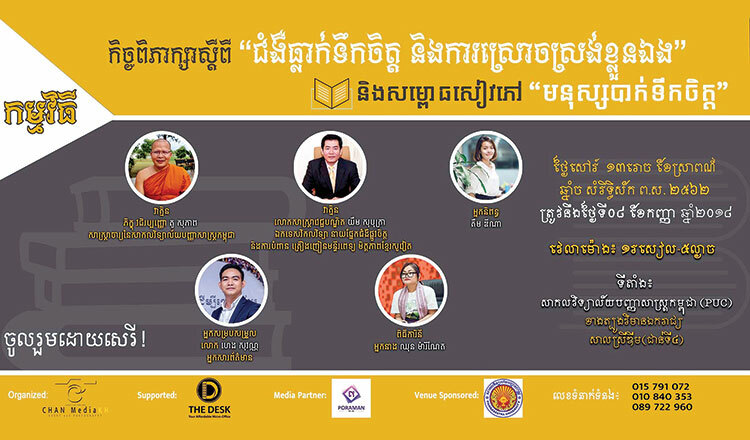 Aside from the seminar, the book “Depressed Person” written by Ms Kim Dyna will be also launched on the same day. The book contains experiences of depression and the short stories from author’s blog and recent works. Audience can engage with guest speakers directly on topics related to depression. AICHR has been continuously engaging with the young people in the region in its effort to raise awareness on issues of human rights. 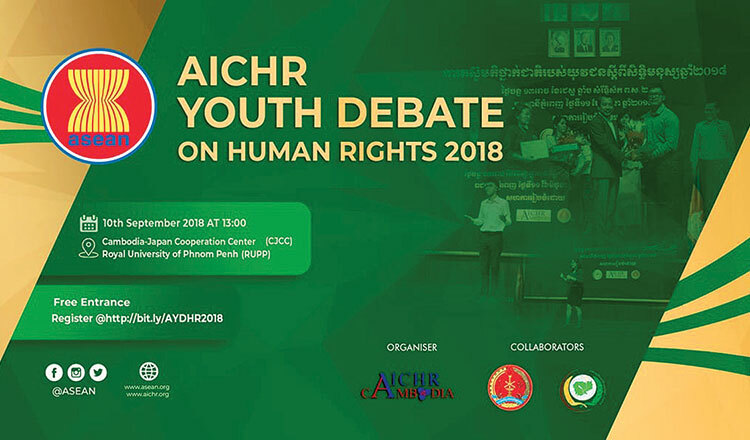 The AICHR Youth Debate 2018 is the fifth of a series of regional Youth Debates on Human Rights organised by the AICHR. 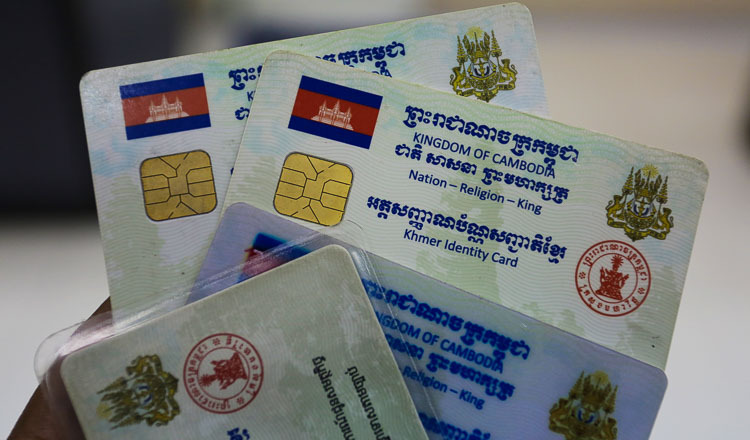 This year, Cambodia will be the host of AICHR Youth Debate 2018, which involves a total of 30 university or college-level participants, three from each ASEAN member states, nominated by AICHR Representatives. The third seminar in 2018 under the theme “Realising the dream of being a professional in accounting and finance”, is organised to encourage and motivate people who want to achieve the dream as a financial and accounting professional. Participants will be trained by famous speakers who have lots of experiences and success in their professional endeavours.